Snowshoe hiking is a sport which everyone can do. 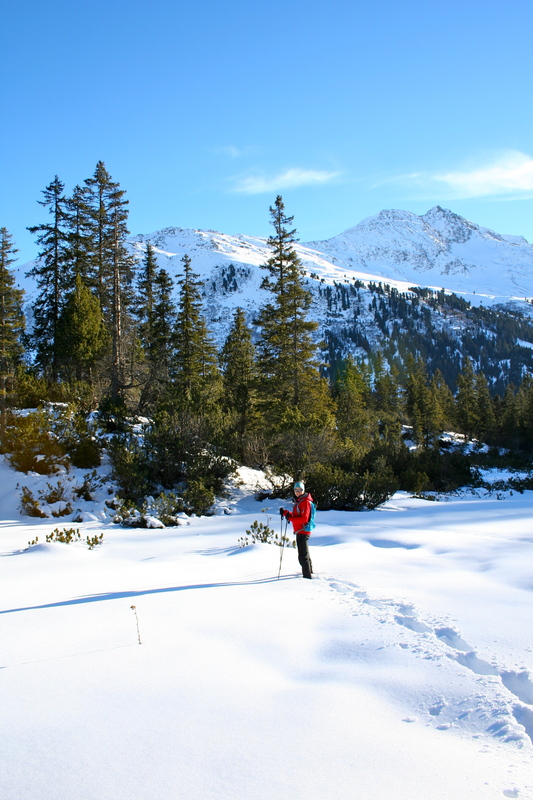 Hiking on snowshoes gives you the opportunity to enjoy the winter scenery of the Arlberg, the fresh mountain air and the quiet nature. We will guide you to places where no lift is leading and we will show you nature far away from the slope. Takes place with four participants. (On Wednesday 15th February there is no group tour in Lech). Romantic, idyllic, magic – you do not need more words to describe snowshoe hiking at night using lanterns to show you the way. This experience will make hearts leap for joy – especially kids will love this very special adventure which they will tell at home with shining eyes. What do I need for snowshoe hiking?